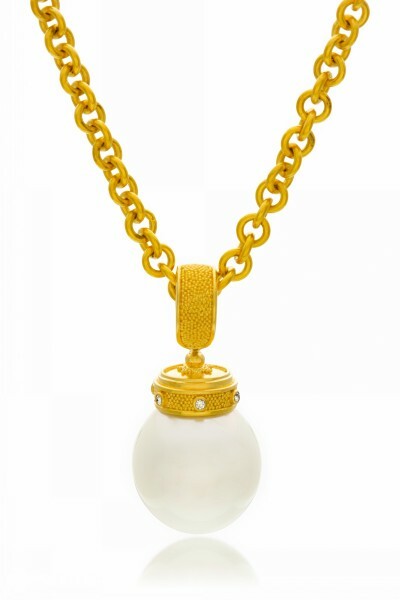 22K yellow gold pendant featuring a stunning 15.9 by 17.4mm South Seas pearl accented with .06 ctw diamonds. Approximately 1 9/16” high. Shown on 22K gold Link chain (sold separately).